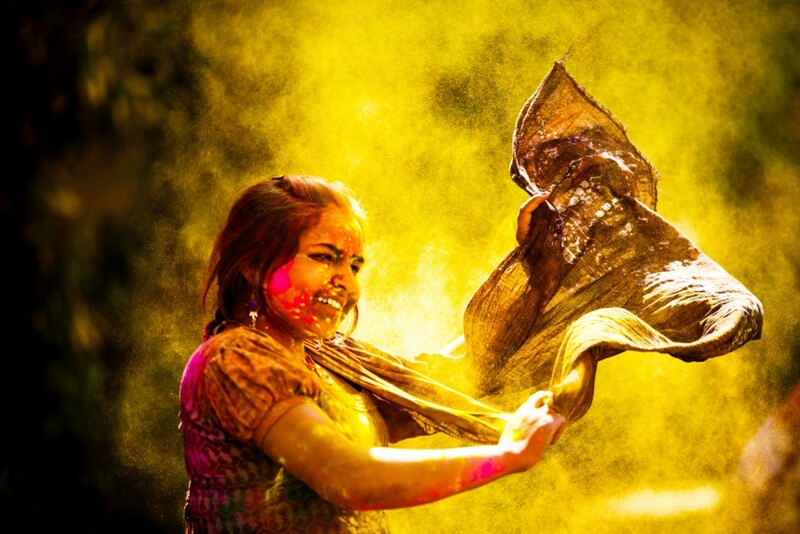 With a change in the seasons, sweet spring opens to the colours of Holi, the traditional Hindu Festival of Colours. Here’s Travel Weekly’s breakdown of the event. Bringing colour and a fresh-palette, the festival of Holi is an annual celebration of change, love and friendship that occurs around the world, commemorating the coming of spring. Historically celebrated over two days in Falgun, the 12th month of the Hindu calendar, the event coincides with March in the Gregorian on the last full-moon of the lunar month. Although the name of the festival typically varies across India, Holi is traditionally referred to as Holika Dahan or Choti Holi on its first evening. The night is celebrated by alighting fires in celebration of the triumph of light over darkness. The following day’s celebration is the main event for colour and is known as Holi. Traditionally marking the arrival of spring, Holi has evolved into a celebration of love, fertility, friendship and youth across the world, and is seen as an opportunity for people to get together with friends and loved ones. Central to the celebration is an afternoon devoted to playing with water, covering each other in coloured powders known as gulal, and indulging in sweet treats. The event is also symbolic of new beginnings – offering devotees the opportunity to cast aside baggage, sadness and histories of poor relationships in favour of warmth and happiness, with the coming of spring and new growth. In Australia, Holi continues to be a major celebration for Indian-Australians, with events in Sydney occurring between 20-21 March. 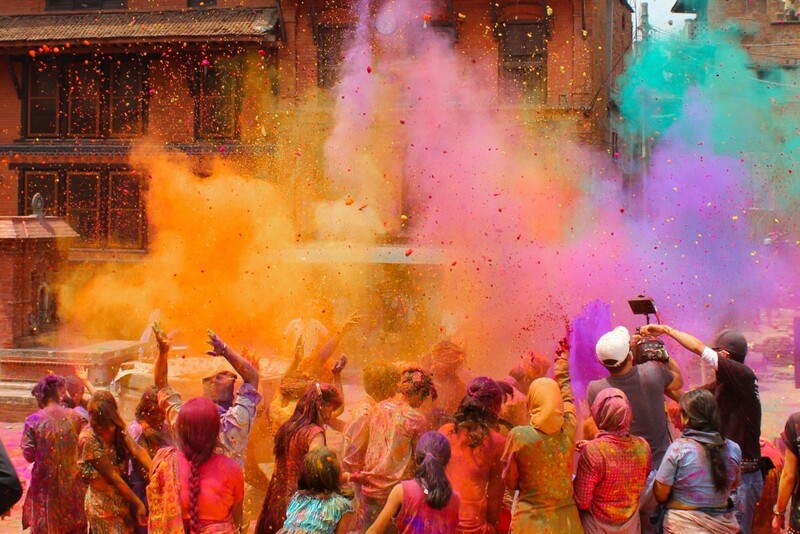 Holi traditionally takes place from 20-21 March, though dates may vary in different countries. If celebrating Holi sounds like something you would be interested in experiencing, here are some destinations to consider and tips by Agoda to help you make the most of the holi-day. India and Nepal are great destinations to get the true taste of this beloved festival. Head to Goa, the party capital of India, for a celebration that’s more on the wild side. Be prepared to be doused in coloured water as part of the fun! Stay at the Vista Elaine Gardens, a great space to share with friends. It includes a kitchenette, so you can even make your own organic eco-friendly colours the day before the celebration using flowers and common ingredients available in local markets. If you plan to visit Goa during Holi, remember to watch out for the water balloons that cheeky neighbourhood children are sure to throw! Pokhara, Nepal, too, comes alive during Holi. Celebrations kick off the day before with bonfires that symbolise the triumph of good over evil. On the day that you plan to play with colours, consider the simple hack of moisturising your skin and applying a coat of nail polish to your nails before the fun and games begin, so you can wash the colours off with no fuss! To cap it off, stay at the Fishtail Lodge or The Pavilions Himalayas for incredible views and unbeatable locations. If island getaways are your thing, then Holi in Mauritius might just be the way to go. 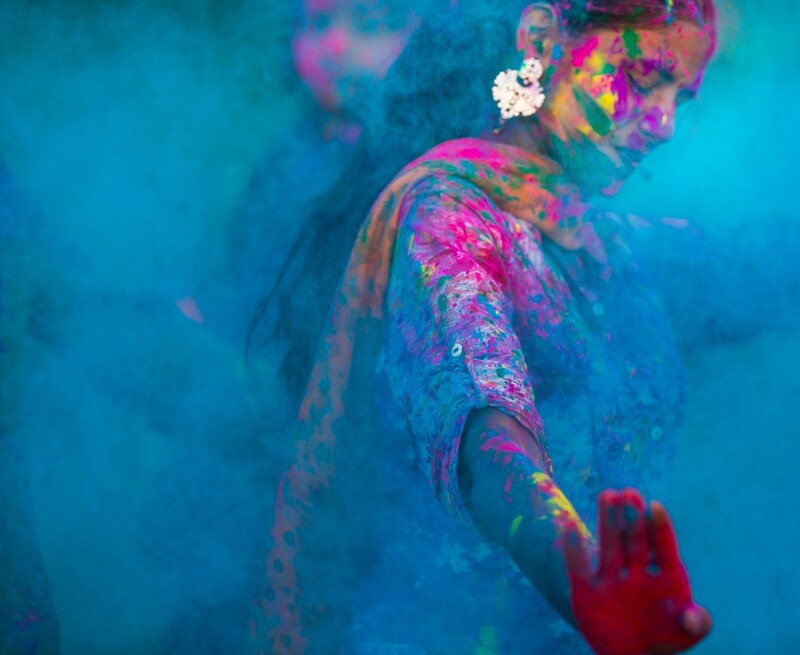 In Mauritius, Holi is celebrated by nearly everyone. Anyone out in an open area is fair game, so consider yourself warned. Treat yourself with a stay at the LUX* Belle Mare where you can relax after your day out playing Holi. If you’re into water sports, this property also offers a plethora of options to choose from, ranging from boating and canoeing to snorkelling. To be fair, what we don’t know could fill several libraries. But here’s what you may have missed about the country that was just crowned as the world’s most diverse.